Early feeding is now a critical point. When using nature as a reference to what are the optimum requirements of the day-old chick, we found that the hatching chick has no requirement for immediate access to feed and water. Welfare of birds and profit go hand in hand, but we should always look to nature for inspiration. When looking at the commercial breeds used in the modern poultry industry, it is important to always keep in mind what are the evolved genetic requirements or needs of the species. This principle applies when considering both maximum production and optimal welfare conditions. The two are inextricably linked. One of the strongest indicators as to what are the optimum requirements of the developing embryo and subsequent needs of the day-old chick, is the activity and interactions of the parent bird in its natural environment. This approach has always been the driving force behind the Petersime Embryo-Response Incubation™ ethos and will remain so for the foreseeable future. The Re-Store system™ replicates the re-sitting of the mother hen during the process of building her clutch of eggs. The non-linear rate of fluid and gas exchange mimics the attentiveness of the parent bird during the incubation process. The Synchro-Hatch™ replicates the interaction between parent bird and hatching chick during this difficult and exhausting phase in the process. In addition to this, throughout the entire developmental and growth periods during incubation, the OvoScan™ system ensures real time temperature control in the same way as the attentive parent bird. All of these elements offer the well managed hatchery the tools to produce the maximum number of the highest quality chicks possible. This assumes, of course, it is in turn supported by a well-managed production chain, which in the current climate is perhaps the most important statement to make. 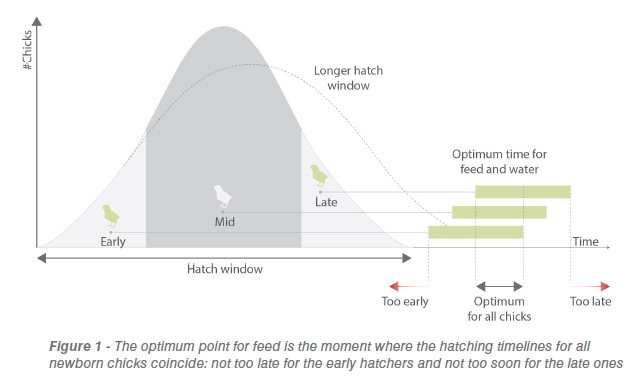 When looking at the current evolutionary point, nature has enabled the chickens to cope with a hatch window of some 24-36 hours. The mother hen can happily hold the first hatchling until the final chick arrives and comfortable keep her clutch together until they are all ready for the ultimate “pecking” lesson with a view to them finally acquiring feed and water – an essential ability when considering its protective needs against any predatory threats. “Evolution has ensured the hatching chick has no need for immediate access to feed and water. It is neither necessary nor natural. Hatchlings have an instinct to subsist on the remaining yolk sack.” – says prof. dr. Decuypere from KUL. Does this mean there are no welfare issues around this subject? Sadly, no, and the industry does need to look at itself and its entire operation. The vast majority of both applied and pure research studies done around this topic clearly show there is an optimal point of access to feed and water, not immediate. The optimum point for feed is the moment where the hatching timelines for all newborn chicks coincide: not too late for the early hatchers and not too soon for the late ones. In some cases, this ideal moment will fall within the time in the hatcher. 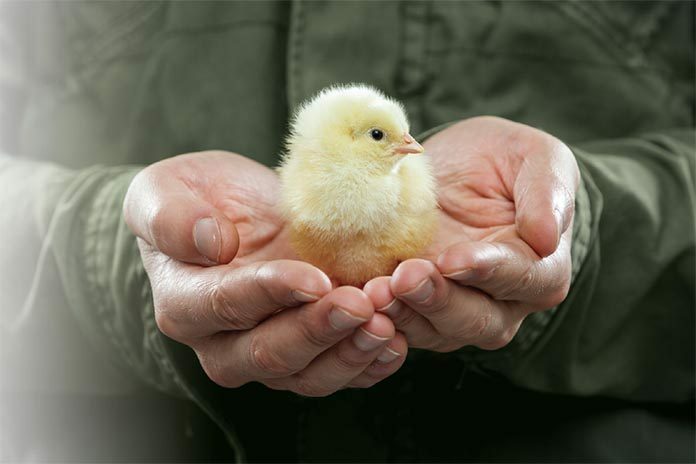 Petersime offers solutions that can ensure the chicks get fed with a gel on that optimum moment, either in the hatcher, chick holding or during transportation. 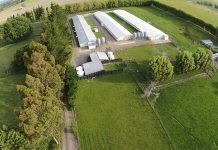 The hatchery manager plays a key role in achieving a good, narrow hatch window but this is not to say this role in the company is solely responsible. 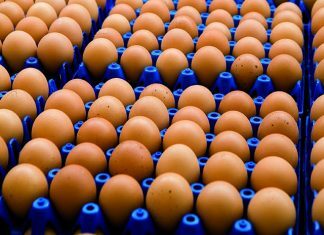 The importance of good egg quality, nutrition, storage, etc. cannot be ignored. 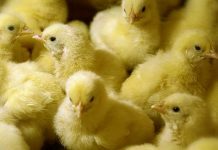 In addition to this any good work can be completely undone due to factors such as poor handling, automation, chick holding and transport. Those of us who care about the well-being of the birds produced by the commercial industry should welcome the current intervention by welfare organisations. But so should the industry owners and investors. Welfare and maximum profit go hand in hand and perhaps thanks to the welfare conscious people, this will become paramount in everybody’s thinking. We should of course not be misguided and we should always look to nature for inspiration. 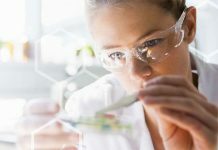 From this, we can tell what the developing embryo and ultimate bird needs and with today’s technology, in conjunction with good overall management, achieve everybody’s ultimate goal.